As excited as we were to hear Nintendo announce the SNES Classic Edition, it wasn't long until flashbacks of the NES Classic Edition began to set in, leaving us in a cold sweat that we'd soon face a repeat performance of the retro system's disappointingly short production run. To our relief, it appears Nintendo has learned its lesson from the earlier microconsole. In a statement sent to Time, the gaming giant said it will ship "significantly more units" of the SNES Classic Edition than its predecessor. 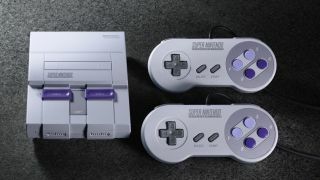 Nintendo didn't give exact numbers for the units it expects to ship when the SNES Classic Edition launches on September 29 (September 30 in Australia – we're still waiting on a UK release date) for US$79 (AU$119.95, about £62), but we imagine the promise of more systems will appease retro gamers who might have been burned by the woefully under-supplied and over-demanded NES Classic Edition. While it appears the SNES Classic Edition won't be in quite as short a supply at launch as the NES Classic, it's still a good idea to pre-order the console as soon as you have the opportunity. Nintendo notes the shipping run of the SNES Classic Edition is expected to last "until the end of calendar year 2017", meaning that once the year is up, more of the miniature Super Nintendos aren't guaranteed. Not only is the shipping run potentially a short one, we can almost guarantee the SNES Classic Edition will be the Christmas gift this year, meaning retailers may not have many leftover units on shelves after New Year's. Still, it's nice to see Nintendo acknowledge the shortcomings of its last plug-and-play device. Hopefully, this means the SNES Classic Edition makes its way to more Nintendo fans rather than opportunistic eBay scalpers this time around.